Charles Leclerc is adamant he’s not heading to Ferrari to learn, rather he is there to challenge and believes the team will let him race Sebastian Vettel. Earlier this week Ferrari confirmed Leclerc’s signing, announcing that the 20-year-old will replace Kimi Raikkonen at the end of this season. And although Leclerc will become Ferrari’s youngest driver since 1961, he expects parity with Vettel. “It’s more or less like this in every team,” Leclerc said. “You have two drivers who start the season on equal status and then at one point in the season you see some team orders because probably one driver is playing for the championship and the other is not. The Monaco driver, 10 years Vettel’s junior, concedes there are a lot of questions he will have to answer next season. “This is a big question mark for a lot of people, whether I’m ready or not,” he said. “Whether I’m ready or not, I can’t tell – but I think that if you see Lewis, he arrived the first year and straight away was there [at the top]. “Experience is always a plus obviously, but if you are good enough on one seat, you are good enough [for a top seat] from the first year you arrive in Formula 1. 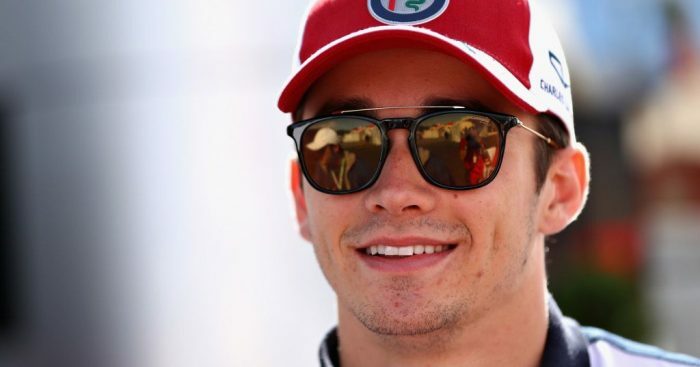 Leclerc, however, insists he’s not heading to Ferrari to learn, he’s there to challenge. “I need to deliver – I’m not going to Ferrari to learn. “I’ve had a very good season this year where I could learn most of it and next year is to perform where I should be once you are going in a big team.